NMIFF welcomes the entry of a short film " Ismey Anna Kya Karengey " from India, DIRECTED by Sunil Joshi. "The film shows that there are so many issues of our day-to-day life which can be solved by the public themselves and for such we do not even require any big name or personality like Sh. 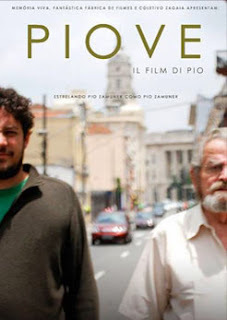 Anna Hazare"
NMIFF welcomes the entry of a short film " Piove, il film di Pio: Pio's movie " from Brazil, DIRECTED by Thiago Mendonça. "Piove” is not a portrait of the forgotten filmmaker Pio Zamuner. It is the establishment of a relationship between two generations of directors with their own rules. But who directs whom?" 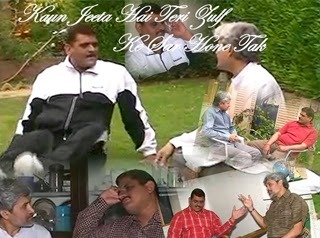 NMIFF welcomes the entry of a short film " Kaun Jeeta Hai Teri Zulf Ke Sar Hone Tak " from India, DIRECTED by Sunil Joshi. "It is a docu-drama on Right to Information Act-2005, showing that only by making an act is not the solution of the problem unless & until it is not implemented in the true spirit by the organization". 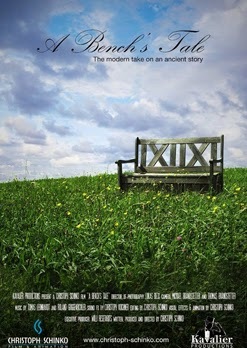 NMIFF welcomes the entry of a short fiction film " A Bench's Tale " from Austria, DIRECTED by Christoph Schinko. "A Bench's Tale' tells the diverse story of a lonesome wooden bench. Without the use of actors or language, we're discovering its world in a purely visual manner, and live through the hardships the bench has to endure through nature as well as human." NMIFF welcomes the entry of a short film " JHUMKI " from India, DIRECTED by Abishek Pande.
" This film raises a very important issue of our society that when we all human kind whether we are poor , rich , belong from cities or rural area, from any caste , suffers from same kind of diseases like fever, cold, cancer or any other physical disability. Then why this so called "evil spirit" occurs only from poor,illiterate and rural areas and specifically from their women. Film raises the question via their central character called "Jhumki." NMIFF welcomes the entry of a short fiction film " Retrograde " from Denmark, DIRECTED by Jacob Krzysztof Glogowski & Sebastian Kuonen. "Retrograde tells the story of a man. Thomas wanders in the darkness, his mind wrapped around his love Selma. Blindly he walks the streets at night, embarking on a journey towards clarity." NMIFF welcomes the entry of a short film " Eyes-The Mirror of Purity " from India, DIRECTED by Sunil Joshi. "The film is about the Dilemma of Advocate who is unable to decide how to know whether he is correct in the court when he is defending a criminal or at home when he teaches the lesson of honesty to his children." NMIFF welcomes the entry of a short film " Stock Exchange " from Belgium, DIRECTED by Stephane Everaert & Frederic Mosbeux. "Kris wants his daughter back. He pays the ransom to Kostas. Unfortunately, the after-sales services of this dubious kidnapping company is a catastrophe and finding the little girl seems to be next to impossible." NMIFF welcomes the entry of a short film " POORAK " from India, DIRECTED by Sunil Joshi. "The film is about joint family system in India and how each member of family is always ready to help & sacrifice for each other." NMIFF welcomes the entry of a fiction short film " O Feitiço: The Spell " from Brazil, DIRECTED by Larissa Perfeito Barreto Redondo. "Funny, spontaneous and original. The Spell tells the history of the witch Lilith who produces the Tiff Potion in order to a country couple breaks up. The witch observes, makes fun on them and laughs because sadness and the pain of separation. Lilith runs into a girl-angel: the Andy. She annoys her with singing and gives her scoldings. So, the impatient witch exposes secrets which just The Spell is able to gives away. This is a short movie with original song and strong philosophy that represents Liquid Modernity through magic and entertainment!" NMIFF welcomes the entry of a Feature film "ZERO" from Morocco , DIRECTED by Nour-Eddine Lakhmari. 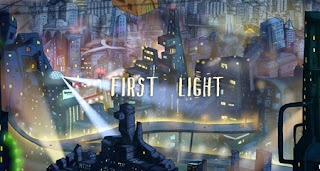 "Amine Bertale, alias \'ZERO\', is a conflicted cop who spends most of his time reporting citizen complaints and pacing the streets of Casablanca with Mimi, a 22 year-old prostitute. He lives in a perpetual confrontation with his disabled dominant father and with his superior, a chief-commissioner from whom he encounters constant humiliation. Facing his oppressive and dissolute everyday life, Zero finally decides to turn the page of a past tainted by cowardice, fear and inferiority complex when he goes in search of a missing 15-year-old girl in the huge metropolis. And so begins his crusade against a hard and ruthless world that is greatly perverted by money and power." NMIFF welcomes the entry of a short Animation- Science Fiction film " First Light " from UK, DIRECTED by wing yan Lilian Fu. "Daniela lives in a city that’s always building, moving, climbing. As a humble employee and resident of the city, she never knows where her house will be taken next but when she opens her door one evening to find her house gone." 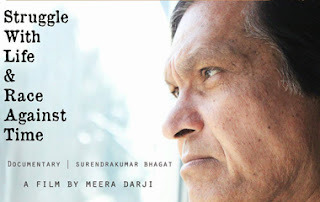 NMIFF welcomes the entry of a short Documentary film " Struggle with Life & Race against Time" from UK, DIRECTED by Meera Darji. "A Documentary based on my Grandfather; Surendrakumar Bhagat capturing his journey from being a helpless, brave Typist to a hard-working Bank Manager. This is a real story of how a simple person’s life began through such struggle and crisis. His journey began with many difficulties. But ended with happiness. Struggle with Life and Race against Time takes you on an emotional journey, bringing an inspiring soul to life." 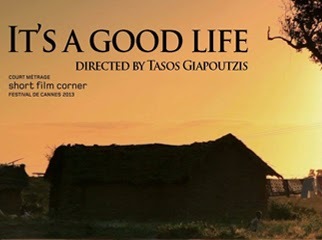 NMIFF welcomes the entry of a short film " It's a good life" from UK, DIRECTED by Tasos Giapoutzis. "It's a good life" is a documentary exploring the life and experiences of Elidad; a young man who came from Rwanda to UK when he was a teenager. How deep can a war affect one's life? Is it ever possible to get over it?" NMIFF welcomes the entry of a short film "ZERO" from India , DIRECTED by KOWSIK. and what we think life is .In short , ZERO - "THE FACTS OF LIFE ". NMIFF welcomes the entry of a short film " Tercera oportunidad: Third Chance " from Spain , DIRECTED by Xudit Casas. "In a relationship, who is in charge?" NMIFF welcomes the entry of a short film " The Promise " from Malaysia , DIRECTED by Alan SK Thoo. "In Malaysia, due to the vast development of the country over the last 50 years ... many have forgotten the essence of parental love and children\'s duties and responsibilities towards their parents. The Promise showcases a Malaysian family of Chinese descent, in the midst of the Chinese New Year Celebration and the day-to-day lifestyles of the family members that created a tensed moment when it comes to taking care of their ailing mother. This film was produced for the Lions Club of Damansara Metro\'s Public Service Awareness campaign." 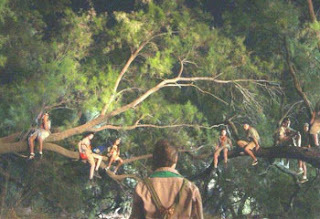 NMIFF welcomes the entry of a short fiction film " Mishehu Ra'a Et Eyal Nurich: Has Anyone Seen Eyal Nurich? " from ISRAEL , DIRECTED by Shira Porat. "Has Anyone Seen Eyal Nurich? 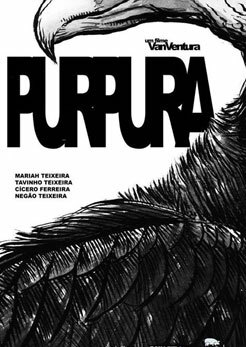 is a universal coming of age myth set in a timeless forest as night falls and a group of adolescent scouts play a cruel game of sexual attrition with their young female counselor, Rona. What begins as a routine outing." 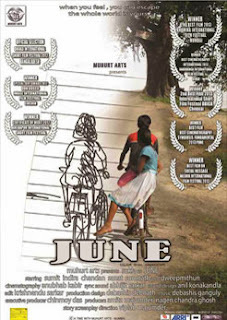 NMIFF welcomes the entry of a short film "June" from INDIA , DIRECTED by Viplab Majumder. "Silence speaks its own language. Sometimes it creates a void in people’s life, sometimes it fills one. For June silence was her voice. She often looked outside her window at the world that awaited her till death came knocking and promised her redemption. She found a friend, learnt to ride a bicycle and live her age. She had to run. But was it that easy to find one’s way out? Would life embrace her, the way she had hoped? Story of June and her small steps towards her freedom, a journey to her childhood as she traces her steps back to innocence." NMIFF welcomes the entry of a short film "A Strange Kind of Love" from Hungary , DIRECTED by Peter Varsics. "This is a story of a blind girl, who finds tranquility in painting. When a man enters her life to whom she has a strangely strong affection, her past start to haunt her, and she's incapable to create. To be able to paint again and to get closer to the man she loves she has to reveal her closely guarded secrets." NMIFF welcomes the entry of a short film " We Gay We Gay Dhaau: Media Cache " from INDIA , DIRECTED by Shoneel Shrikant Yallattikar. 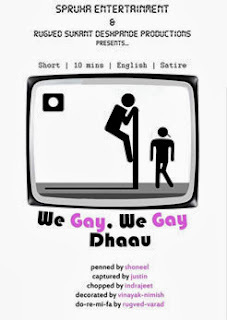 the media and consumption with the example of portrayal of homosexuality. The pattern of the film flow is the narration itself." NMIFF welcomes the entry of a short film " Mendacium " from Hong Kong , DIRECTED by Alex Genneopoulos. "Mendacium is a 2013 graduate short film project created and directed by student Alex Genneopoulos. The story is based on the famed artwork of surrealism artist René Magritte. The character in Mendacium closely resembles the basis from a lot of the characters that can be seen in Magritte’s artwork. The character reveals his frustration throughout seven of Magritte’s paintings. Emphasize can be found on Magritte’s influence and inspiration on the dream theories of famed psychologist Sigmund Freud. The character’s truth of daily life, primarily anger and worry, are revealed trough the distortion and untruthful symbolization of apples." NMIFF welcomes the entry of a Documentary Drama film " Anita " from SPAIN , DIRECTED by Alicia Presencio Herrero. 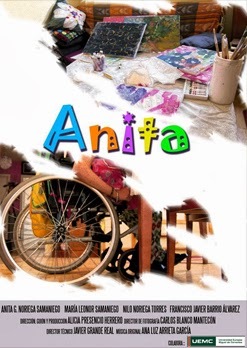 "Anita is a young artist of 33 years with cerebral palsy and she is unable to be self-sufficient in each daily task. Her mother Mary is a clear example of personal improvement. She tells us how and why they ended up living in Asturias, the way is has changed the family and how they live another day. A simple story... but with a background worth seeing." 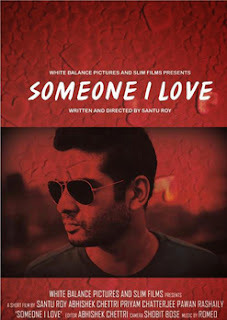 NMIFF welcomes the entry of a short film " SOMEONE I LOVE " from India , DIRECTED by SANTU ROY. And the boy convincing her to get back, while flashback of their past shows what the couple had while together. It’s a story of unrequited love." 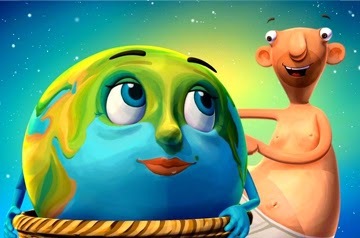 NMIFF welcomes the entry of an animation film "Esperanto: Hope " from Switzerland , DIRECTED by Simone Giampaolo.
" ESPERO? (HOPE?) is a humorous, entertaining but also educational animated comedy which sarcastically shows how Gaia, our planet Earth, met humankind years and years ago, and all the problems which followed. A criticism of our modern society." NMIFF welcomes the entry of a short film "Bi Sar o Seda : As Quiet As Possible " from IRAN , DIRECTED by Shahram Mehdizadeh. "This is the story of family instability and about a couple who prefer their own individual interests than the family interests. Parviz, a married man, marries another lady while her own wife has an affair with his best friend. And that is not all. The new wife also has her own boyfriend." 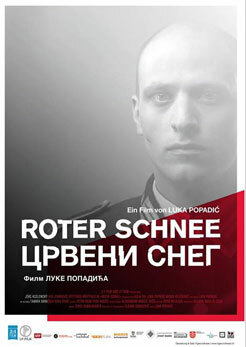 NMIFF welcomes the entry of a short film " Po Prostu : Simply Like That " from Poland , DIRECTED by Filip Hillesland. "This short documentary takes on the subject of aging as a natural state of life in modern Mid-Europe. 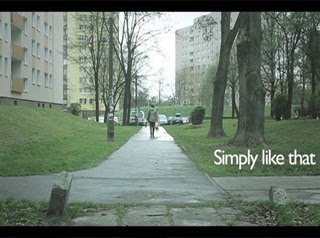 Simply Like That shows one normal day in the life of a 70 years old woman living in Warsaw,Poland, were truths are spoken between the lines and in the behavior of Mrs Kulakowska. While these images can be very common to many people, that is exactly the reason why they are shown." NMIFF welcomes the entry of a short film " Titanic Love " from UK , DIRECTED by Mark Pressdee. "Jack is a small man in a Titanic world. He longs to lead a settled life - to have a good job, the gaff in town, money in his back pocket, and to have the perfect life with his girlfriend Lucy.The only problem is, Lucy has an obsession...with all things Titanic! Lucy has found a \'Titanic Love Cruise\' and wants to re-live the Hollywood dream. Jack doesn\'t! They can\'t afford it and Lucy is furious. Their relationship hits rough waters, so Jack calls on his best friend Delroy for advice and a cheap alternative.True to form, Delroy and his trusty sidekick Jaz come up with a cunning plan that could change their lives forever.Delroy is going to bring Hollywood and Titanic to England!There is no turning back, and Jack has no choice but to entrust his future with Lucy to Delroy. Jack, Lucy, Delroy and Jazz are about to experience the voyage of their lives! Will it all end in disaster? All will be revealed in a thrilling climax!"